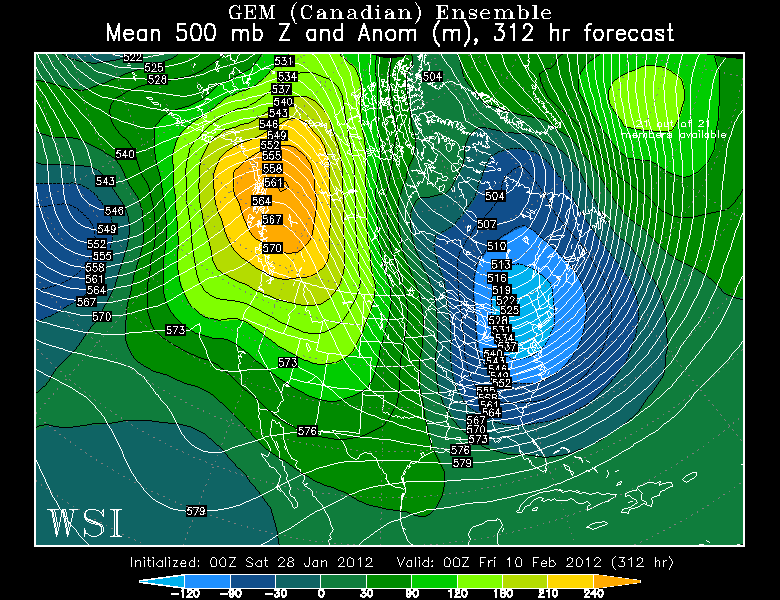 I just checked the long range maps again…and don’t see much of anything different from what I saw Friday. 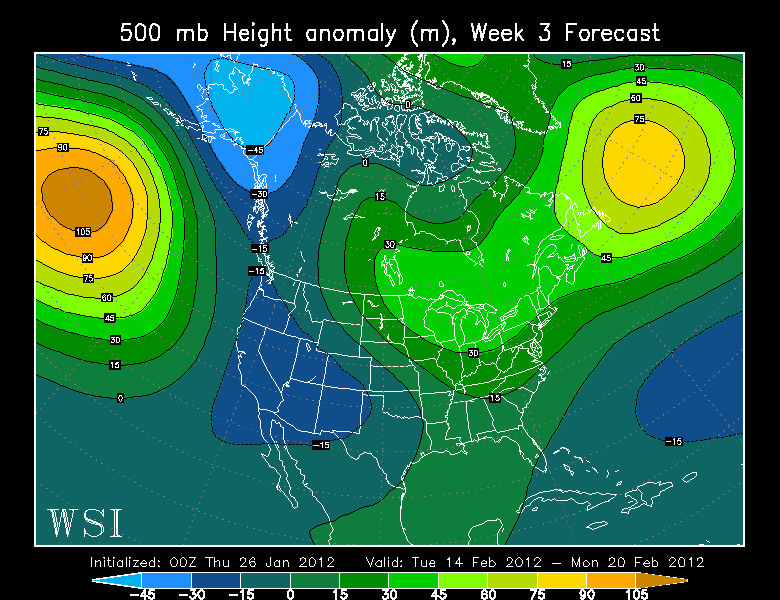 Amazing agreement on long range models showing strong ridging building over the Western USA and all the way up through Western Canada from this Thursday onward. There MAY be some sort of change as we get past about a week from Saturday. Little to no rainfall is likely from this Wednesday afternoon through at least the 10th of February, possibly longer. Little or no snowfall in the Cascades for the next 10-14 days…essentially the first half of February could be snow-free in the mountains. Just 3-5″ at best late tomorrow through Wednesday morning. 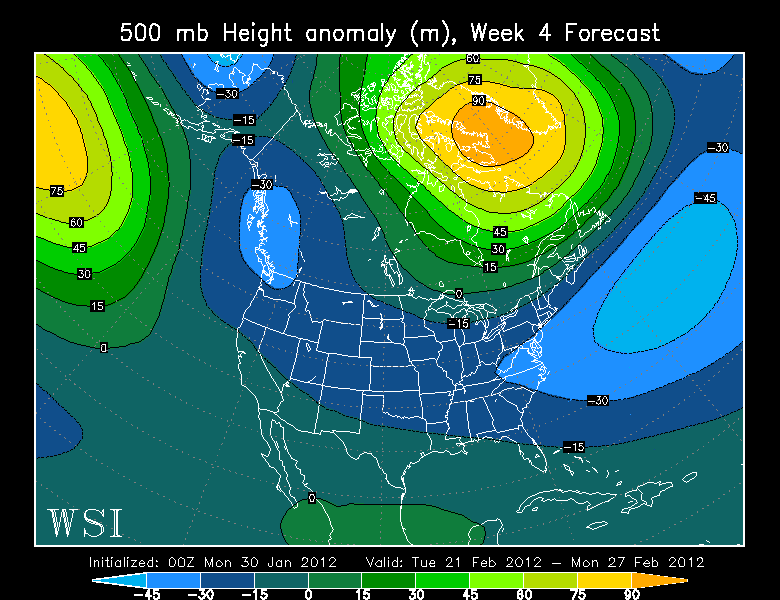 No flooding, windstorms, snow to lower elevations…or strong wind for 95% of us during this period. Lots of chilly nights, sunny & comfortable days, and lots of fog at times in the Willamette Valley too during this period. East wind developing Thursday in the Portland Metro area SHOULD keep the fog at bay for most of us Friday and beyond. 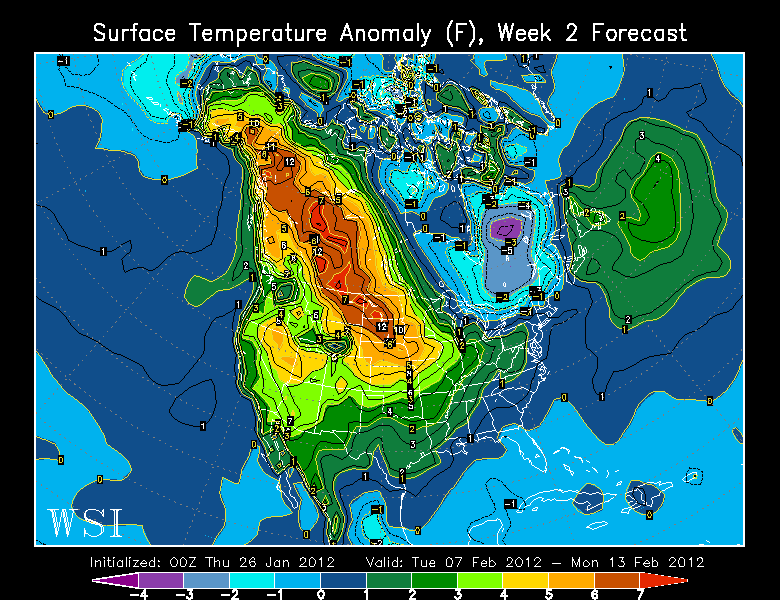 The mountains and coast will be unusually warm this coming weekend. 60-65 is possible either day on the beaches and lots of 40s/50s at the ski areas. The other 5% that will get strong wind? The west end of the Columbia River Gorge and east Portand Metro area will see gusty east wind beginning Thursday afternoon and it’ll continue for many days after that. 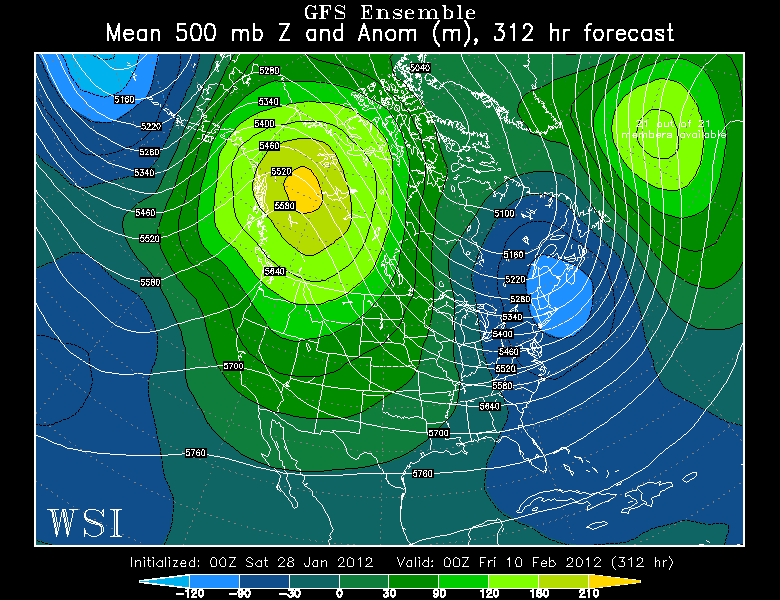 In this pattern strong high pressure sets up east of the Cascades and the Gorge wind machine will really get going. For those that like to go experience the wind, this COULD be the strongest of the season so far due to several factors…one would be the orientation of the upper level ridge, slightly to our east or right overhead. 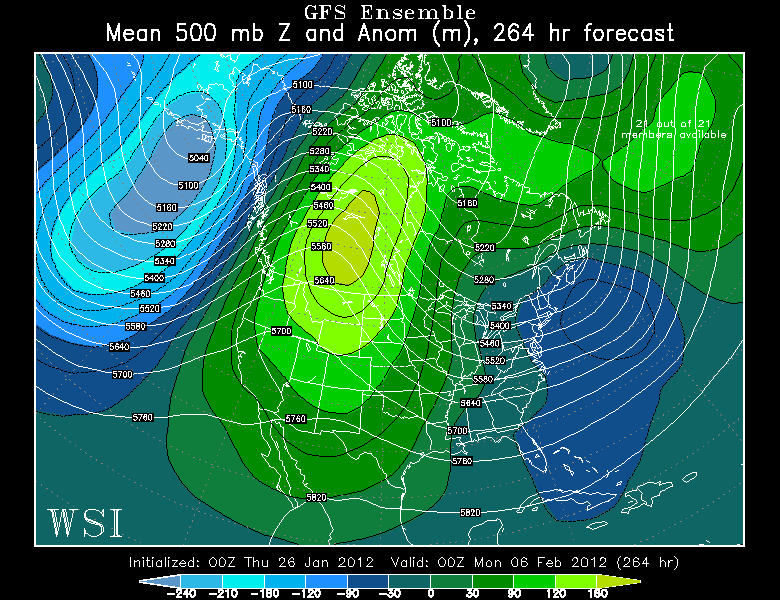 That’s always good for optimum placement of the surface high to our east. 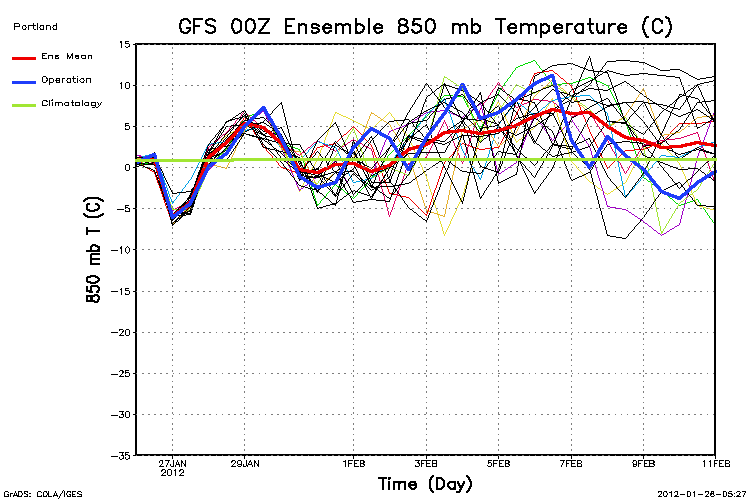 The other is very warm 850mb temps Friday-Sunday, especially on the ECMWF. It has temps up around +10 or slightly higher. During the worst east wind episode I’ve seen since the late 1990s (January 2009), 850mb temps were up in the +15 to +18 degree range. This causes the inversion to be quite low and strong, forcing all the air through a narrow vertical “channel” as well. So this weekend might be “the big weekend” at Vista House. Let’s aim for a 110 on the steps this time. Plus, a mild sunny weekend in Portland always brings out the unsuspecting convertibles and sunglass wearing tourists…great fun. So is winter over? It could be, but that’s unlikely. Remember last year? 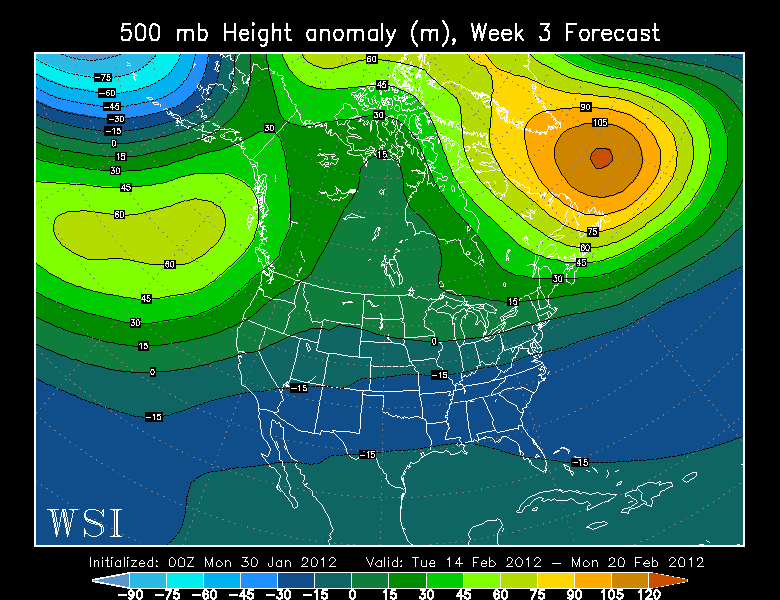 You may recall that we had a month of dead weather from mid January to mid February. 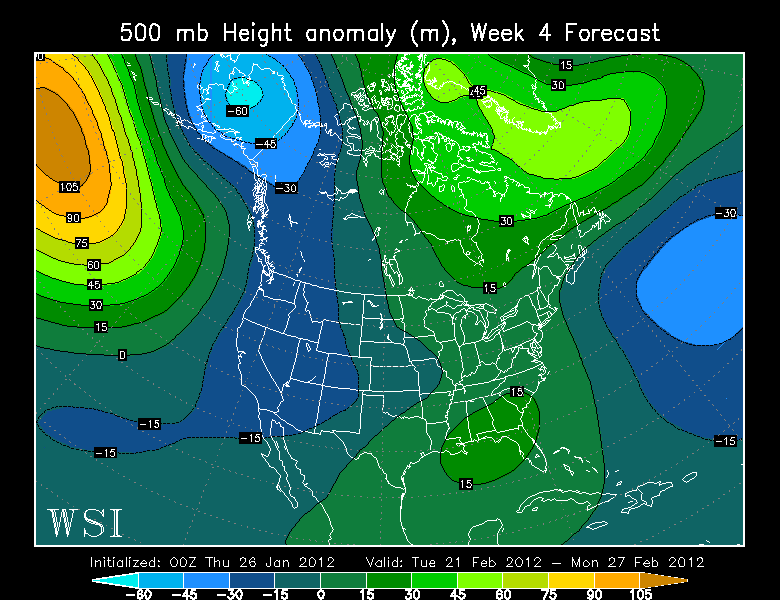 Then a total pattern change with tons of mountain snow and our 2nd snowfall of the season around the 25th of February. That is unusually late, but it can happen. We never really recovered out of the cooler and wetter pattern until late July! 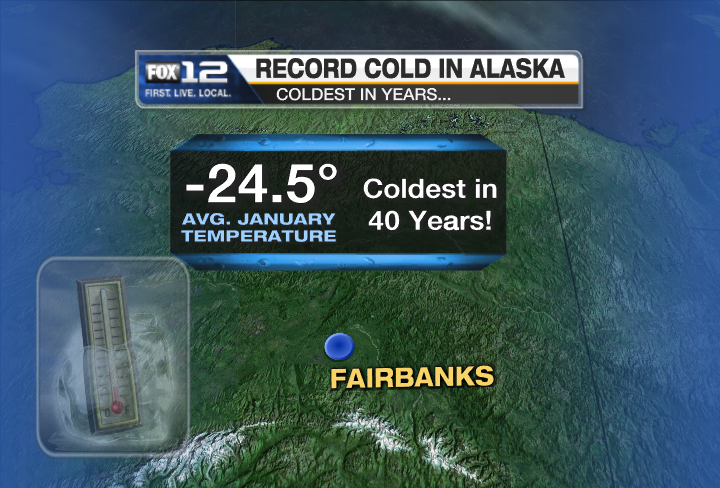 Have you heard about the cold temps in Alaska? Check out Fairbanks daily info right here. Looks like about 11 days they haven’t even made it UP to -20! That’s really cold (understatement). I made a graphic for that since there is almost nothing to talk about down here in our corner of the “Lower 48”. That would also be an understatement. Models are still very insistent on just a few weak systems moving through our area Sunday through Wednesday, then strong ridging or split flow developing beyond that point possibly towards the 2nd week of February. So enjoy the nice weather on Saturday, then relax indoors Sunday since it appears we have a wet day on tap. 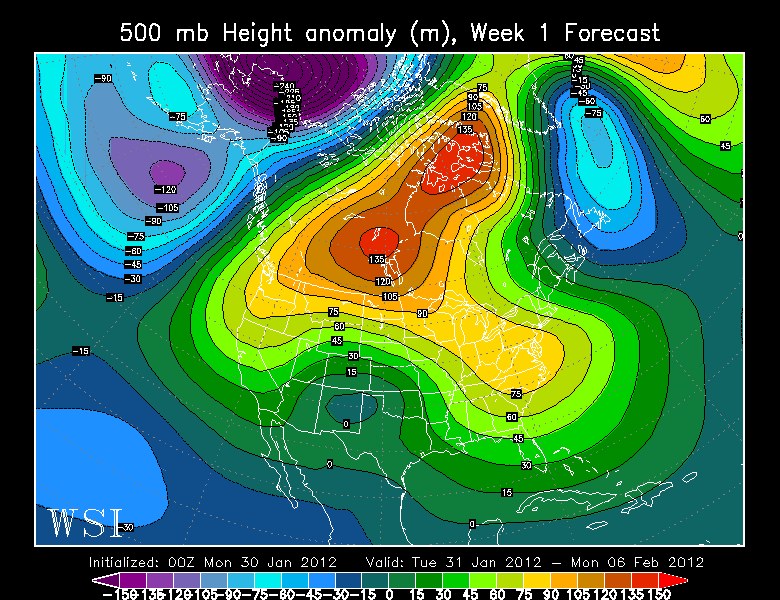 I notice it’s a gradual pick up in numbers in the 10 days leading up to the wet snow weekend (14-15th). Then a much faster dropoff as soon as we were done with the snow, apparently weather geeks don’t find the flooding nearly as interesting; I would agree. One more thing…the numbers this week are significantly lower than BEFORE the maps started building up to the colder weather. I’m guessing everyone gets exhausted by the continous monitoring of data and maps before an event and then once the excitement passes (with maps showing nothing on the horizon) we all scatter and go back to our non-weather lives. 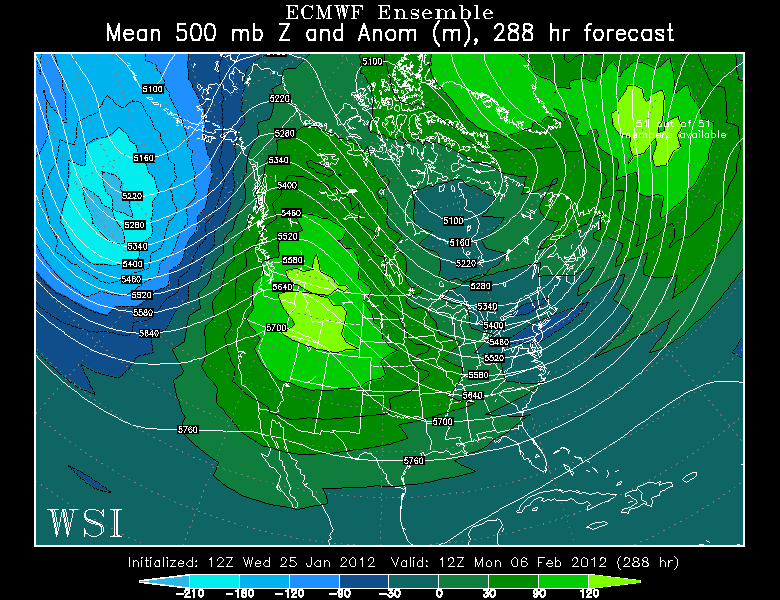 I have access to the ECMWF weekly maps; they come out twice a week. 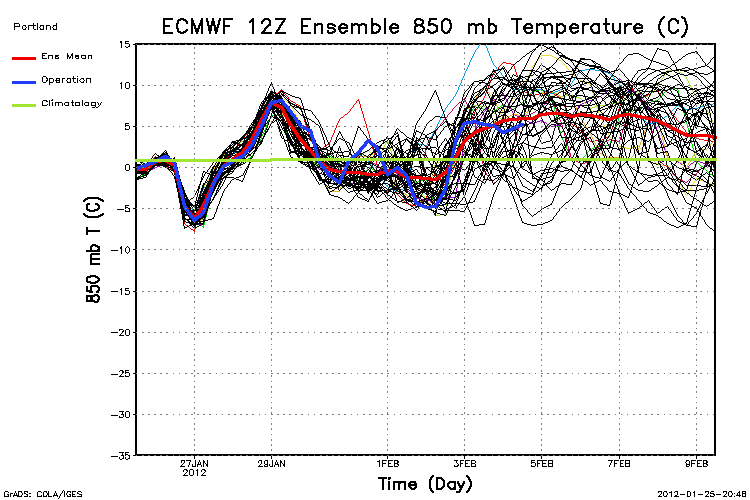 The ECMWF is run out to 30 days. 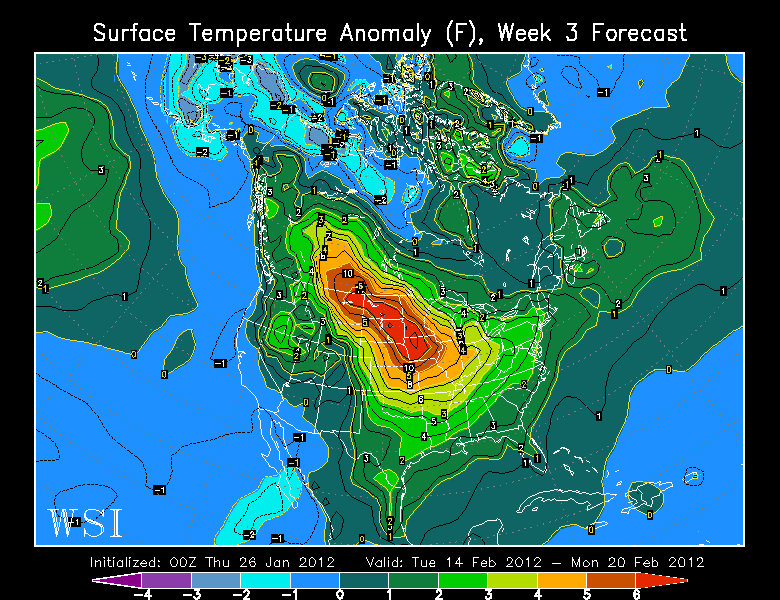 The most recent run is 00z last night; so here is some eye candy for you. Make sure you click on each pic for a much clearer view. 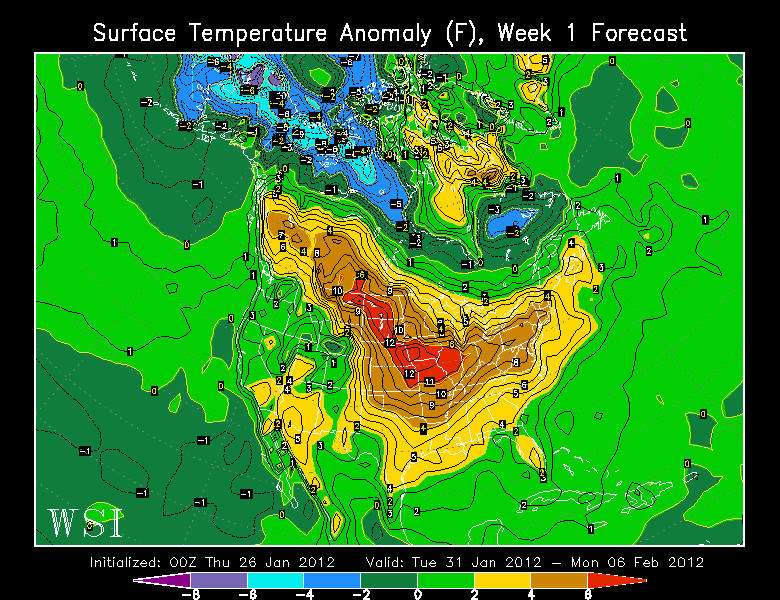 Week 2 anomaly…wow! 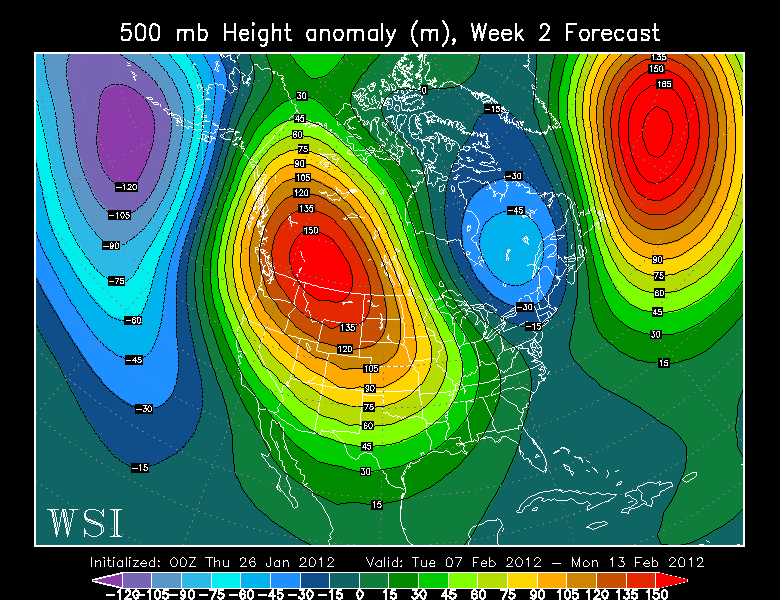 A huge upper level ridge just inland over the Rockies. 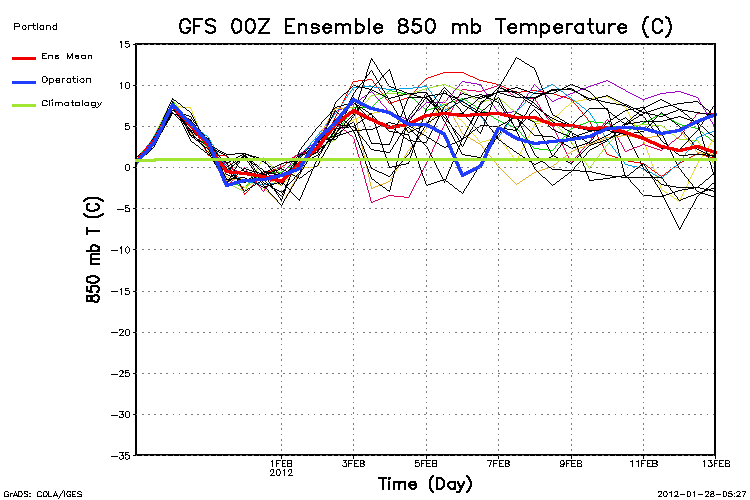 Areas not under inversions could be extremely warm. The Week 3 anomaly…a change, ridge disappears and is replaced by weak troughing…precipitation returns, but still very mild in the central USA. 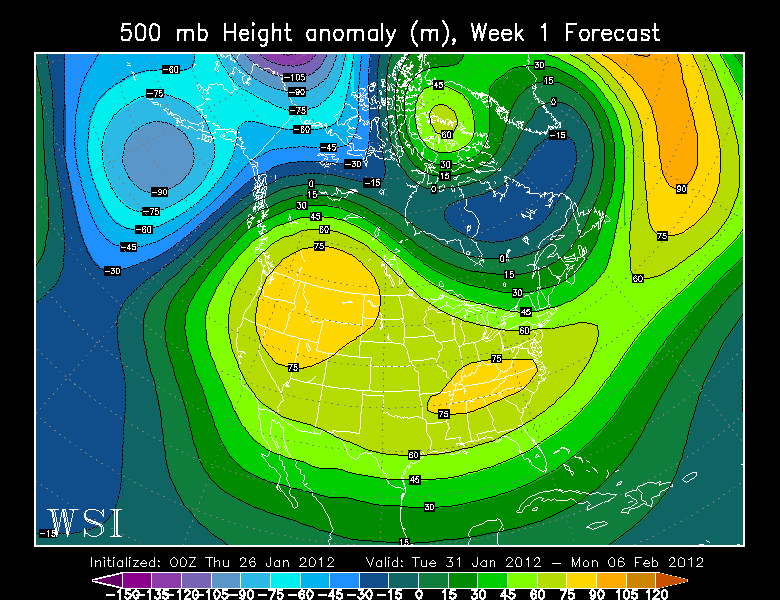 The Week 4 anomaly…still slightly below average heights over us, looks close to normal. If the ECMWF is right, we have about two weeks of very mild weather with little rain, then back to normal after mid-month. 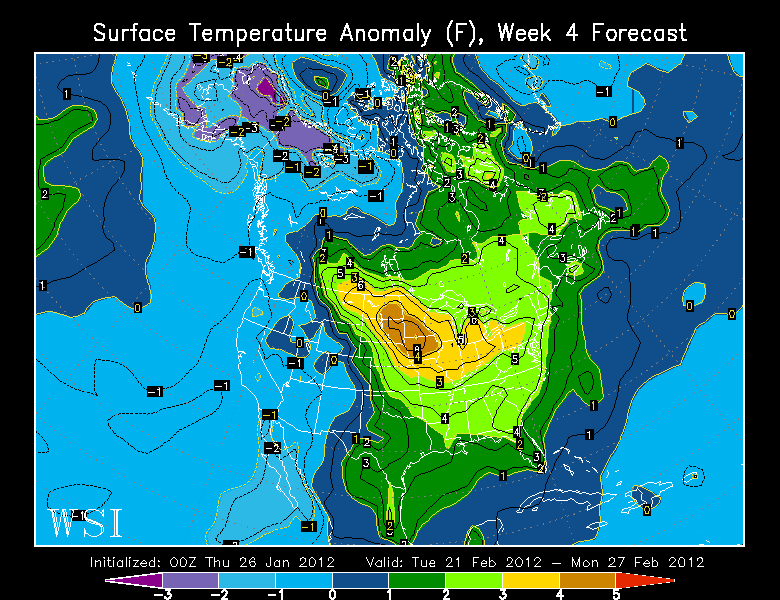 Note the eastern USA’s mild winter will continue if these maps verify too. I hate to pose the question and ruffle feathers, but IS THAT ALL WE GET FOR WINTER? 1. We had a briefly wet November with some stormy weather and some good mountain snow in the days leading up to Thanksgiving. 2. 7 weeks of weather boredom followed, punctuated by only a few days of heavy rain right after Christmas that soaked the ski areas too. 3. An exciting one week of weather last week with snow to the lowlands (for most of us), but we missed out on big snow totals and the big ice storm up in Puget Sound. We did get a nice windstorm at the coast, and then the worst flooding in 15 years down in the Central Willamette Valley. 4. This week we’ve returned to mainly boring weather, except for the heavy rain yesterday. The details are slightly different but the pattern is the same. When you combine weak ridging this weekend, then some warm weather systems next week, and then add these maps, you get a 7-10 day forecast that isn’t too exciting. That will take us through the first week of February. It’s no secret that we don’t get long arctic blasts or prolonged ice/snow storms in the lowlands after the 2nd week of February, so we’re running low on time. 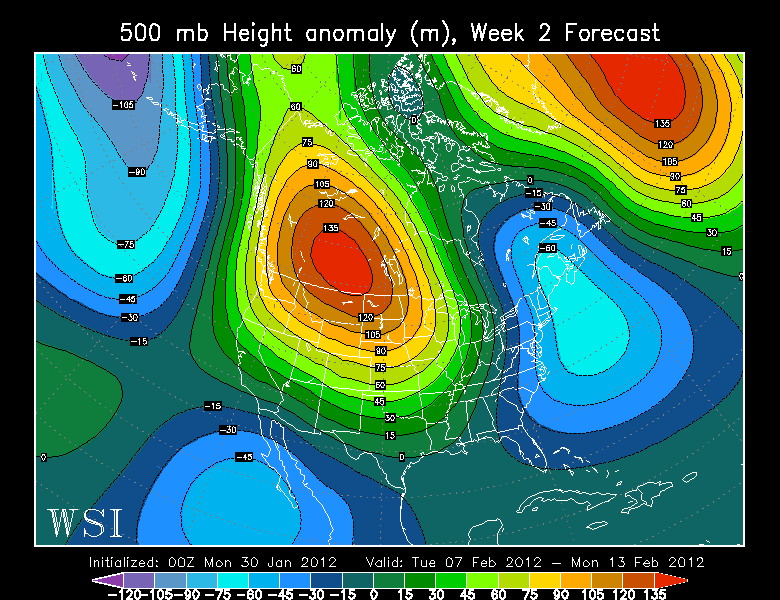 But it could still be waiting for us on February 10th-20th…who knows? So IT”S POSSIBLE that we get through this year without an arctic blast; keep in mind it hasn’t been below the mid 20s here in Portland…a mild winter so far…If the maps look similar 10 days from now, I’ll be ready to say we’re done with the chance for an arctic blast. But it’s also important to remember that we can get significant (several inches) sticking snow through the first week of March. We’ve officially had 2.2″ here in the city this winter so far. The results of the evening poll (below) were sure interesting: we’ve never had such a large turnout for a poll, especially since it was open for only 6 hours. Over 400 responses! Another way to read that is 1/3 of you think KGW has their own radar, and 2/3rds do not or are not aware of that. -KGW is the only station that owns a radar system. They installed their own radar somewhere between 1997-1999 on Livingston Mountain north of Camas. They are the only station that’s ever purchased a unilateral radar system here in the Portland television market. As far as I’m aware, it still works, although many times I’ve watched and it’s just the NWS radar (your tax dollars at work!). Not sure if it’s failing or is just expensive/difficult to maintain. You can tell if it’s just the NWS radar because the “circle” of higher echoes will be up around Dixie Mtn. (the NWS radar site) near Scappoose, not north of Camas. Interesting that it’s labelled as their own radar even at those times. BUT, before I find the “speck” in that eye, let me pull the “log out of our own”…the other 3 stations stretch the truth a little too. -Beginning around 2005, weather graphics vendors starting ingesting Nexrad Level II info from the NWS radars. That’s all the volumetric data produced as a steady stream that all 4 tv stations in Portland use. So we all have the ability to plot data as soon as it leaves the radar. It is slightly delayed compared to having your own radar; I’ve been told 20 seconds to 2 minutes after it leaves the radar site it shows up on our displays. On the other hand, the NWS radars are significantly more powerful than privately owned radars. Our graphics software adds the sweep line and the final product is what you see on television. Local stations all call that “Live” radar. And of course you can argue about what is “live” and what is not. That’s what I mean by “stretching the truth”. So in the end, in the year 2012, all the television radar displays look just about the same. That might account for the confusion in the survey above. It would not be worth it nowadays for a Portland TV station to buy their own radar, partly due to our lack of severe summer weather (thunderstorms) and partly for the reasons outlined above. 1. We have the ability to color the intensity levels any way we like. We choose a green-yellow-red scheme here. I remember we colored it blue in the early 2000s on FOX49; a poor choice of mine, I admit it. I think we go to yellow around 35dbz. 2. We can display the volumetric data (showing the height of the various echoes, also called 3D). This one looks a little messy to me (my opinion only of course) and I think it’s really only useful for big summer thunderstorms. So we choose not to ise that much here. 3. We can apply a “mask” for winter weather precipitation types and color that any way we want. This is based on elevation, short term model info, and surface observations. This is the green-white coloring or maybe green, white, pink coloring (pink for freezing rain) you see on FOX12. Remember that as of early 2012, this “winter radar” view is only an estimate, NOT the radar itself telling us what is rain and what is snow. The new polarimetric data is not flowing out to local tv stations yet. I haven’t put a poll on here for a long time and figured it’s time for another. I actually thought of this while driving to work today (distracted driving?). Do our viewers know if and which station or stations own their own radar for use in weathercasts? It’s a sizeable investment (I mean HUGE! investment). So all I ask is that you just take the poll quickly without putting too much thought into it. Punch in your answer without looking it up to see what the answer is please! 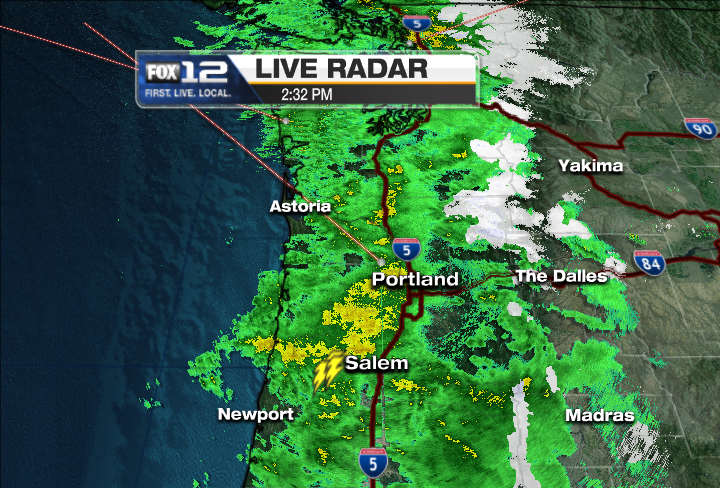 You are currently browsing the FOX 12 Weather Blog blog archives for January, 2012.